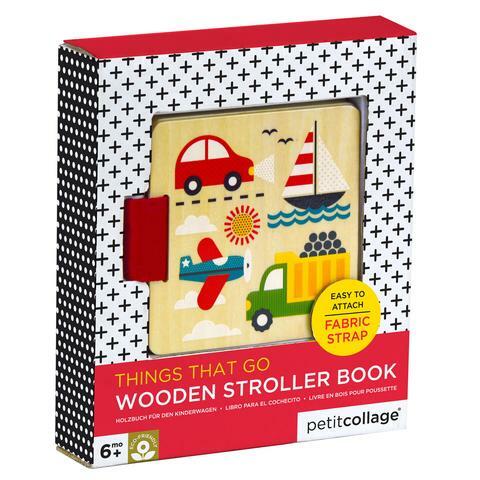 Keep the babies and toddlers entertained on-the-go with Petit Collage's wooden stroller book (also attaches to high chairs)! The theme of this book is "things that go", and it comes with adorable illustrations of cars, helicopters, sailboats, and more! Bonus: the book contains images only, no text, so you and baby can make up your own stories, or read in whatever language you like!